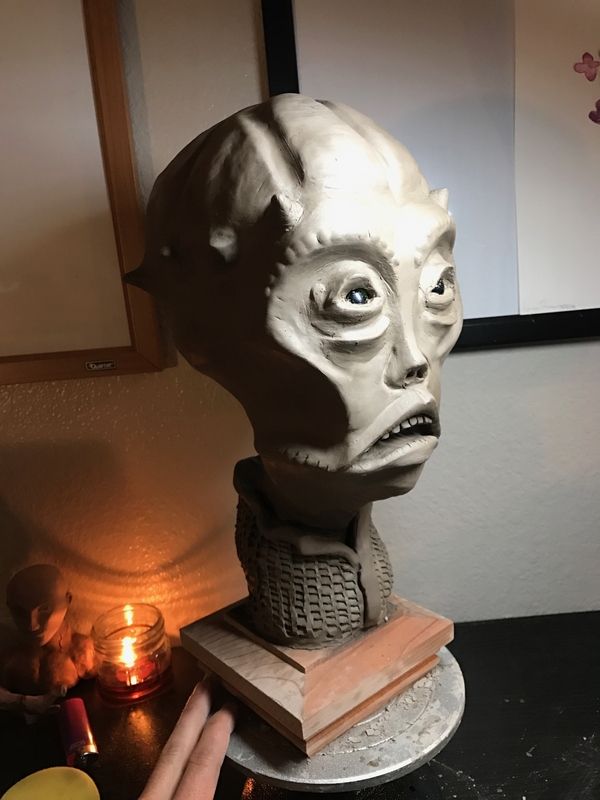 This is my first attempt at sculpting. 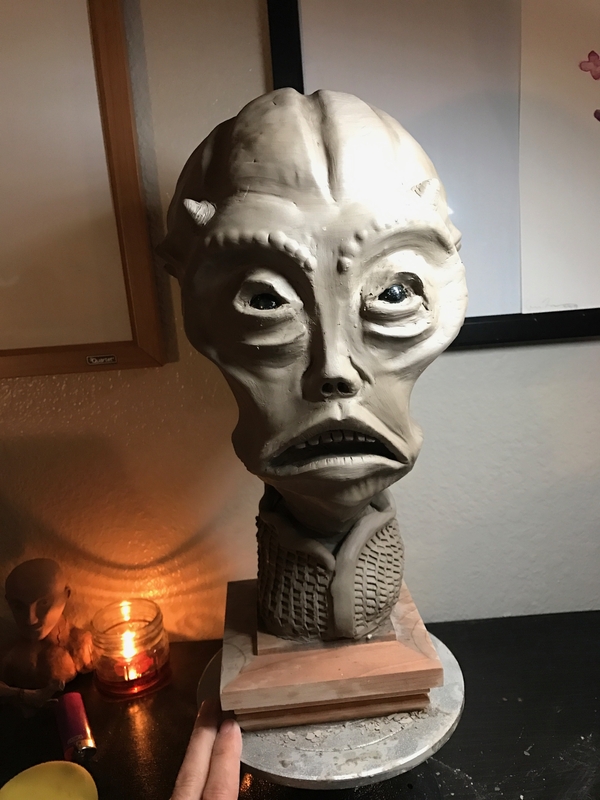 I have watched dozens of hours of videos on Stan Winston and YouTube and finally decided to give it a go. 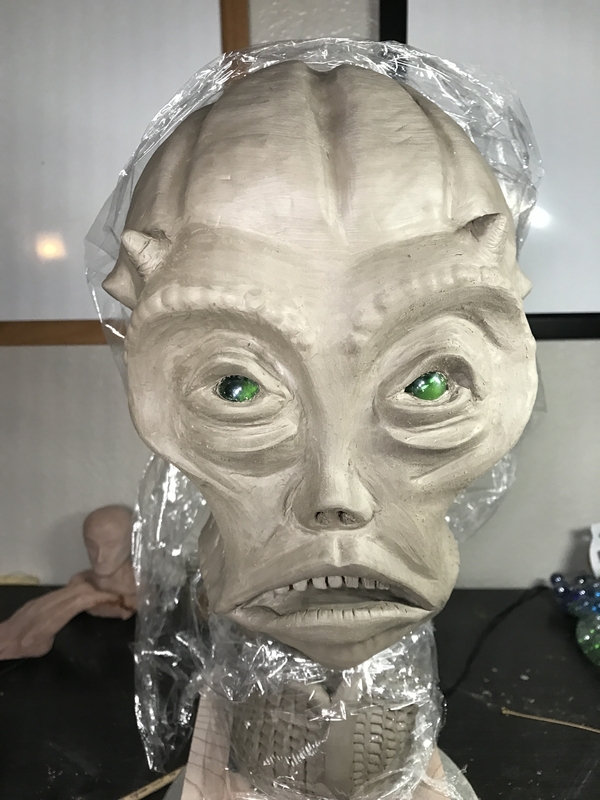 I am using WED clay and I created my own armature from a PVC Riser and some other equipment. I am using marbles for the eyes (picked them up at $.99 store). Any suggestions or feedback you guys have for this project, I'd love to hear it. Thanks! Looking good! As far as critique, I would just continue to refine those forms, as some feel a little thick. Try adding a bit more depth to the face. It being flat could be part of the character design, but it feels like the face needs a stronger silhouette to match the rest of the head. 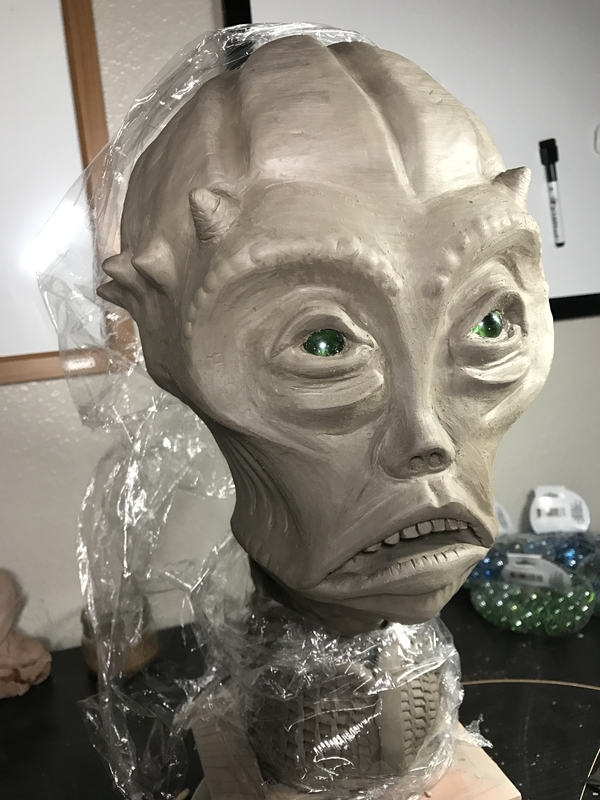 I would hold off on adding any details like finer wrinkles and skin textures until the forms are a bit more refined. Keep up the work, looking forward to seeing more! Chris, thanks for the feedback. 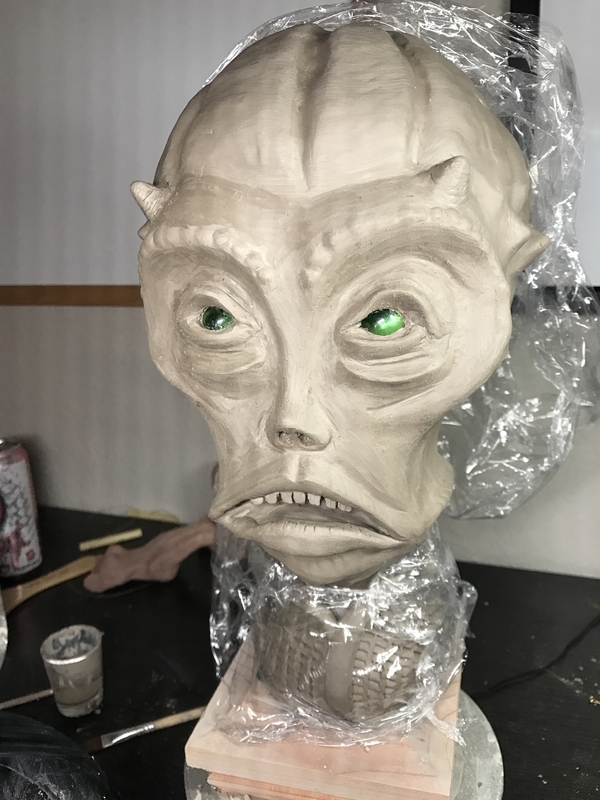 I've been trying to build up the face to make it less flat, but I think it might need a major overhaul to accomplish that. Which, btw, I have no problem doing. This piece is just meant for practice. 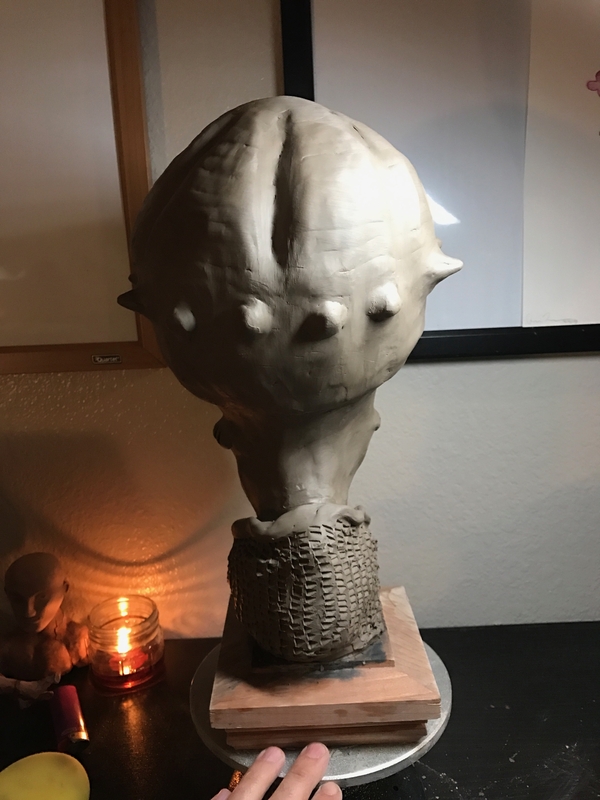 Actually, now that I think of it, refining the forms might help add some more depth to the face. I'll keep refining and see what happens. Looking good, keep it up! 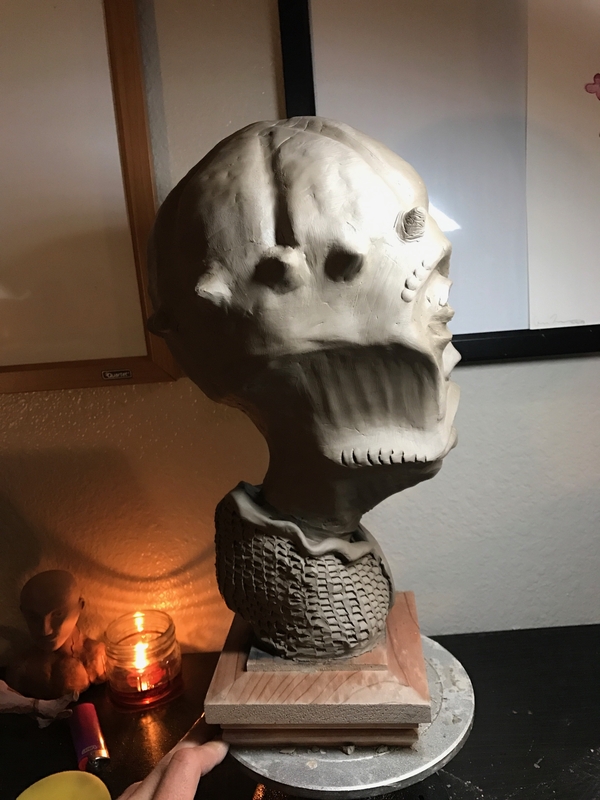 One thing I like to keep in the back of my mind while sculpting creatures it "How would this move?" Ex: If the eyes where to shut do the lids line up, is there enough flesh of the lids to shut, how would they look shut? If it where to smile, where would the kris lines on the face be? Is there any area where the the weight of a fleashy part would make it sag or droop. I also think about bones and muscles under the flesh and how they influence the shapes.